As I drove into work this morning our local BBC News Hour told the story of an inmate in Georgia. 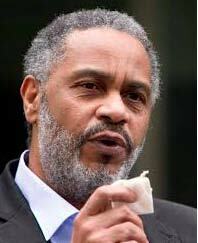 His name was Anthony Ray Hinton. He had just been released after 30 years on death row. I prepared myself the all-too-common story of black injustice in rural Georgia. There was a bit of that … but then a whole lot more. He talked about the joy he was experiencing with finding a whole new world since his release last week. Simple trips to a grocery store, the new men’s fashions in the local department store, and all the new electronics brought him a sense of surprise and delight. When asked about his years in prison and did he feel cheated, he paused and said he prayed for those who had misused the system and convicted him. He went on to say he would not let them take the joy out of his life … not now since he had refused to let them take the joy out of his life for the last 30 years. He went on to say he saw no reason for changing this now that he was out. He would “just try to live within my own means, try to bring joy to someone else, live a fruitful life and just be happy”. His only regret was having missed the passing of his mother. Her grave had already been visited and he had had an opportunity to spend time with her there. The WJS featured a story today on the impact of how we look at set-backs in life as playing a critical role in how we recover from them. It presented empirical evidence of what Anthony had been living for 30 years. Anthony carried his joy within him. Sounds like a great idea.